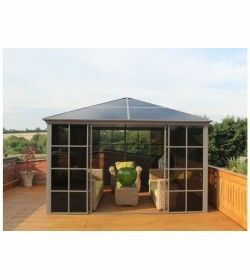 Four season ranges of gazebos A very sturdy range, framing is made from aluminium reinforced with steel. 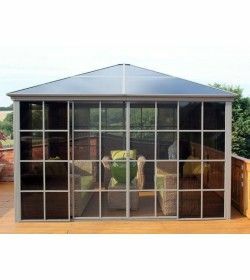 so great to transport, but still tough enough to take the weather, roof section is made from 6mm polycarbonate which as well as protecting you from rain will also allow the light in. Four Seasons Gazebos There are 17 products. 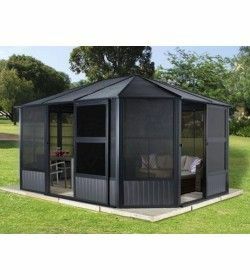 Aesthetic appeal and great for commercial and domestic customers … With square window patterning that has a tinted, outer synthetic overlay and an inner synthetic gauze the Four Seasons Screen House is highly contemporary and eye-catching. 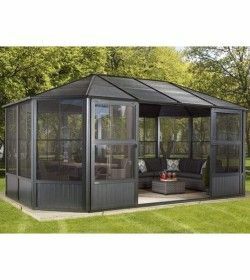 Four Seasons Wall Mounted Gazebo is the perfect alternative to a full conservatory extension.At 10 feet deep and 15.75 feet long there’s plenty of room to accommodate sofa sets, dining sets or a whole host of other outdoor furniture with plenty of room to spare. 4 replacement side curtains for the 300cm x 300cm Four Seasons Gazebo made with UPVC lined polyester. DimensionsDrop: 196cmWidth: 272cm these are replacements for products purchased from our website. We cannot guarantee they will fit other retailers products. 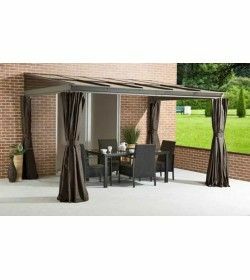 4 replacement side curtains for the 300cm x 360cm Four Seasons Gazebo made with UPVC lined polyester. DimensionsDrop: 196cmPlease note: these are replacements for products purchased from our website. We cannot guarantee they will fit other retailers products. 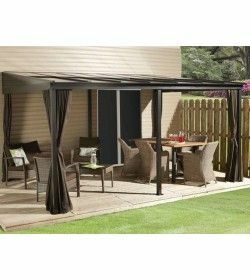 4 replacement side curtains for the 300cm x 430cm Four Seasons Gazebo made with UPVC lined polyester. DimensionsDrop: 196cmPlease note: these are replacements for products purchased from our website. We cannot guarantee they will fit other retailers products. 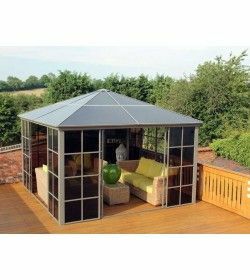 This Four Seasons Dome Gazebo 3m X 3m has a stylish and modern feel to it. 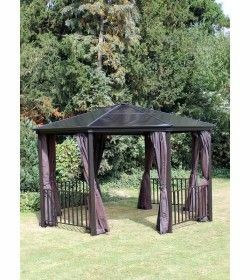 The Four Seasons Combination Gazebo at over five metres long is multi-functional, highly contemporary and practical at the same time.